Now that Amazon has acquired film rights to Lord of the Rings, and Netflix has licensed all seven Chronicles of Narnia, it is time to stop and ask ourselves: How much do bad adaptations of our favorite books really bother us? I am not saying, mind you, that the adaptations will be bad. But the possibility is strong enough that we should be thinking about it. I am not going to attempt to analyze the profound emotional investment humans pour into stories that don’t happen and people who do not exist. We all know how real fiction can be, and how stories can accompany us through life, following us through changes that leave old times and old friends behind. Depending upon the time and manner of their entrance into our lives, stories acquire associations with larger things – a carefree summer, a person we knew then, old haunts, even (a thousand Star Wars jokes don’t change the truth) a gone childhood. To touch the story is to touch hidden chords. Narnia and Middle-earth possess an uncommon power and resonance. Their potency is all the greater because they come to so many people in childhood and remain, among all the fantasy movies and books that follow, a kind of first love. Christians often associate these books with their faith and see Jesus in – or, perhaps, through – Aslan. Both for what they are and for what they represent, Lord of the Rings and the Chronicles of Narnia evoke a considerable degree of passion that does not wish to be disappointed. The new adaptations further labor under the burden of previous adaptations. The animated versions of both works exist mainly as curiosities, arousing little antipathy or attachment. 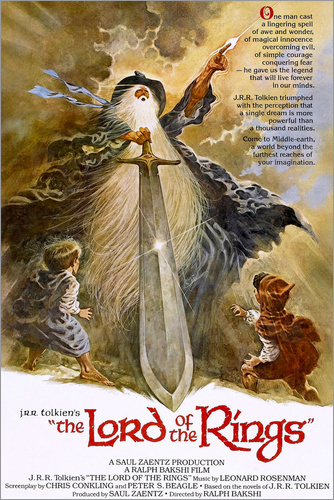 The live-action versions are weightier creations and well-known to the Tolkien and Lewis fandoms. Peter Jackson’s trilogy is iconic, binding its images to the books, and for countless people it was their initiation into Middle-earth. Many fans don’t only worry that the Amazon series won’t live up to Tolkien’s Middle-earth; they worry that it won’t live up to Jackson’s Middle-earth. There is even talk of bringing back the actors from Jackson’s Lord of the Rings. Perhaps some people feel about Walden’s Narnia films the way others feels about Jackson’s Lord of the Rings. Perhaps, but I doubt it. The Walden films were not bad, but they fell far short of their source material. They failed to capture the spirit of Narnia, always seeming to be made by people tone-deaf to the meaning of Lewis’ works – people who replaced Caspian’s thirst to see Aslan’s country with boilerplate daddy issues because they just didn’t understand. Netflix has, in many ways, an easier task than Amazon, and strange as it may seem, it helps them that they are trying to do something no one has done: bring Narnia’s magic to the silver screen. For myself, I am glad that Amazon and Netflix are producing their adaptations. I take a simple line: If the adaptations are good, I will enjoy them, and if they are bad, I will ignore them, and in either event I will be an interested viewer. But other people will take other lines. What is yours?